Jamaica - IOM has brought together key stakeholders from five Caribbean territories at a two-day workshop in Belize in an effort to strengthen coordination to counter trafficking in persons in the Caribbean. 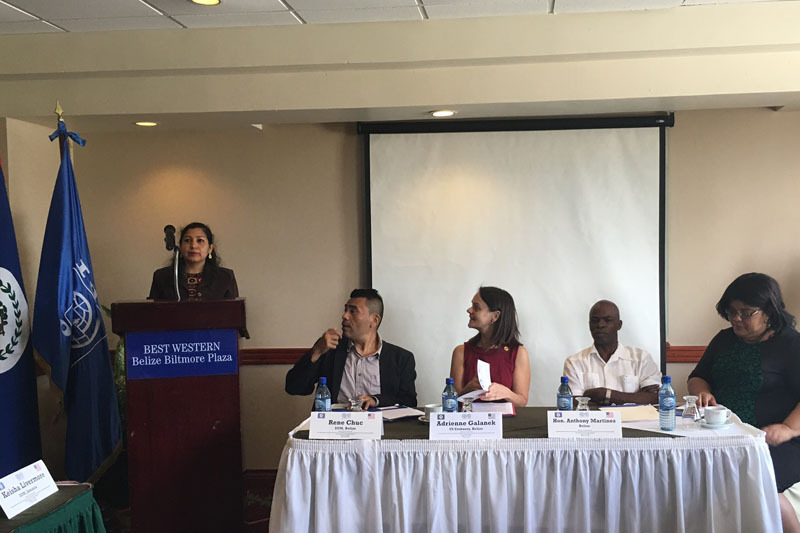 Government representatives charged with leading their country’s counter trafficking efforts from Antigua and Barbuda, the Bahamas, Belize, Jamaica and Trinidad and Tobago gather in Belize City this week (16-17/03) to discuss best practices as well as to explore areas of collaboration and cooperation. “One aim of the workshop was to promote amongst the participants the use of regional cooperation and to share information, ideas and techniques,” said Rukiya Brown, project manager. IOM has been working for more than nine years with countries in the Caribbean training stakeholders, providing assistance to victims and Governments, and raising public awareness through information campaigns. During this time, Caribbean countries have displayed their commitment to countering trafficking in persons leading to an increase in the number of cases investigated and successful prosecutions. Of note is the tier one ranking The Bahamas obtained under the 2015 United States Trafficking in Persons Report, the first country in the English speaking Caribbean to have achieved this ranking. In the past 10 years, the number of trafficked persons identified by IOM’s Caribbean partners now exceeds 350. Work towards developing regional mechanisms in relation to victim identification, investigation and data sharing regarding cases is an important part of a comprehensive counter trafficking strategy. The workshop this week will be one of the first activities of IOM’s sub-regional project in the Caribbean. This project was made possible through funding from the US Department of State Office to Monitor and Combat Trafficking in Persons (J/TIP), with the goal of strengthening the capacity of actors in the criminal justice system.